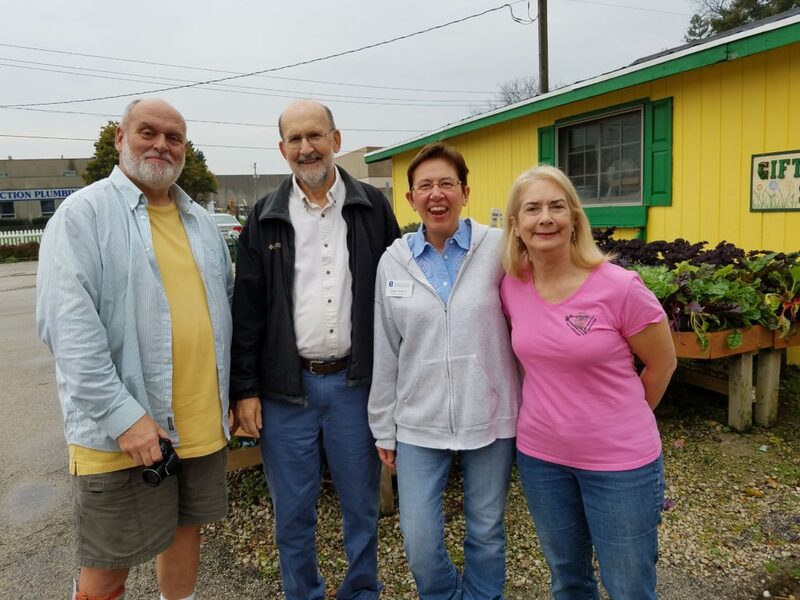 On November 2, 2016, the Tri-Village Garden Club presented a check for $500 to “We Grow Dreams Greenhouse and Garden Center.” The mission of this organization is to provide people with disabilities the opportunity to lead fulfilling lives and to train and work in a supportive, safe and caring environment while producing and providing products and services to the community. 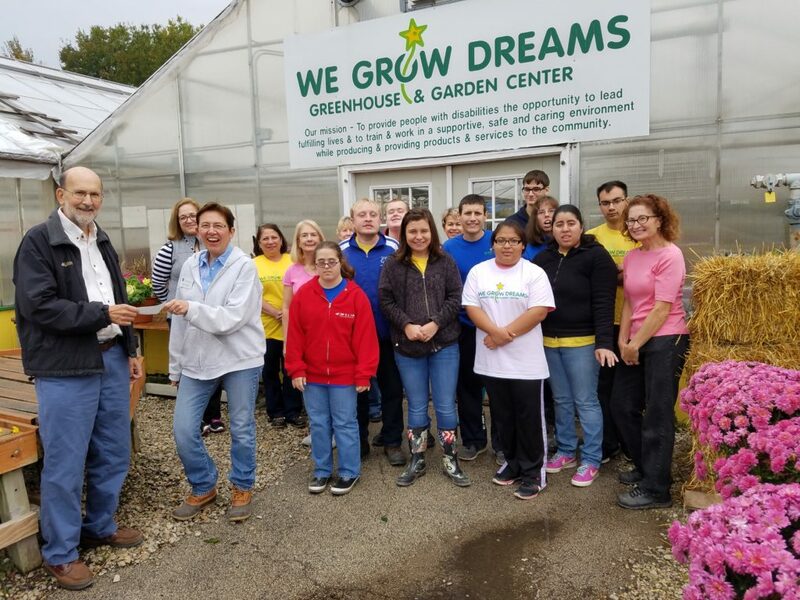 Their job-training program provides opportunities for individuals (team members) with disabilities to learn a variety of tasks in the day-to-day operation of a wholesale and retail greenhouse business. Over 45 specific jobs have been identified for the job-training program. Each team member’s family volunteers monthly. One-on-one job coaching provides each Team Member with the guidance, instruction and support needed to be successful while learning the greenhouse jobs. Wally Groble is presenting a check to Karen Pachyn while two of the groups of students in the We Grow Dreams program gather under their sign.